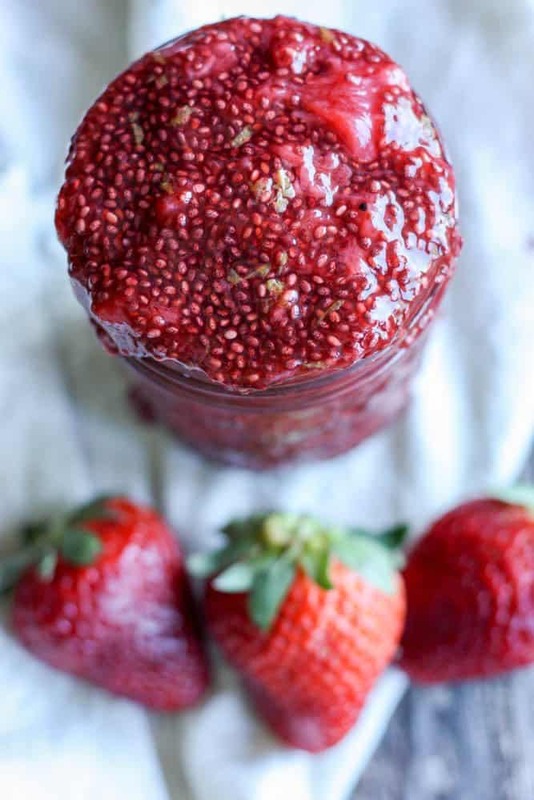 Savor the flavor of fresh berries in this healthier strawberry chia jam recipe! Hi There! It’s Allie with Miss Allie’s Kitchen – I’m here to share another one of my favorite recipes! Speaking of favorite recipes, this 5 Ingredient Chorizo Salsa Breakfast Bake has been getting a lot of love on my site lately, be sure to check it out if you’re a chorizo fan! Berry season is almost in full force and is there really a better way to capture the flavors than with FRESH JAM??! I think not, my friends. 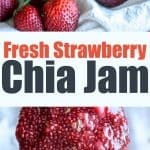 Has anyone ever made chia jam before? Chia seeds are just incredible. Make sure you check out this Tropical Stovetop Chia Pudding while we’re talking chia! Anyway, they have this ability to thicken and bind liquid which makes them the perfect solution for healthier jam. We’re going to let the fruit do most of the work sweetening the jam, and add a touch of maple syrup for good measure. If you really need a sweet tooth fix, check out my Almond Butter Chocolate Bars! Can’t wait to get our jam on! To make the jam, roughly chop the strawberries, measuring out 3 cups. Add the strawberries to a saucepan. Juice the lemon and add the juice into the saucepan with the strawberries and add the maple syrup. Add the chia seeds, stir and remove the saucepan from the heat. 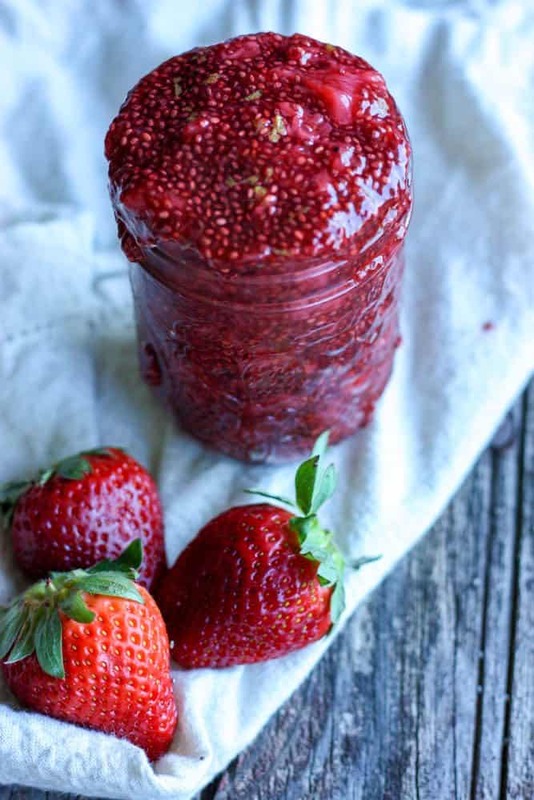 Allow jam to cool before transferring to a glass jar. 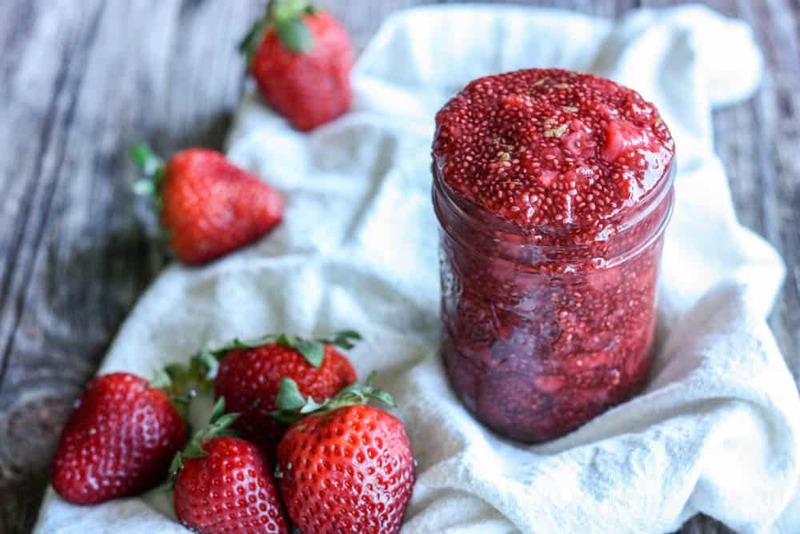 This jam recipe makes 16oz which can be stored in the fridge for a few weeks.